Ha! I’ll bet y’all thought we forgot about letting you know about November’s meeting. Fess up, of course you did. 😉 Well we did not. In fact, we have been diligently researching various topics that would make interesting and captivating programs. You’ll be pleased to know that we have convinced one of our own - a prolific bowl turner - to share his secrets for turning a green hunk-o-wood into a devastatingly beautiful natural edge bowl. Yes, Rick Erexson will ‘splain how he does it all: selecting appropriate logs, initial mounting techniques - faceplate or screw chuck?, proper tenon/recess creation - which tools to use, push vs pull cuts, scraping off the fuzzy bits, having proper first aid equipment at the ready in case you grasp the natural edge while the bowl is spinning, etc. If you ever had questions about green bowl turning, Rick will answer them for you during and after his demo. You don’t want to miss this one. Don’t forget to bring and donate items for the monthly raffle. For each item you donate (up to three) we will award you with one free ticket. Raffle tickets are $1.00 each or six for $5.00. Bring your latest turnings to share with your fellow turners. 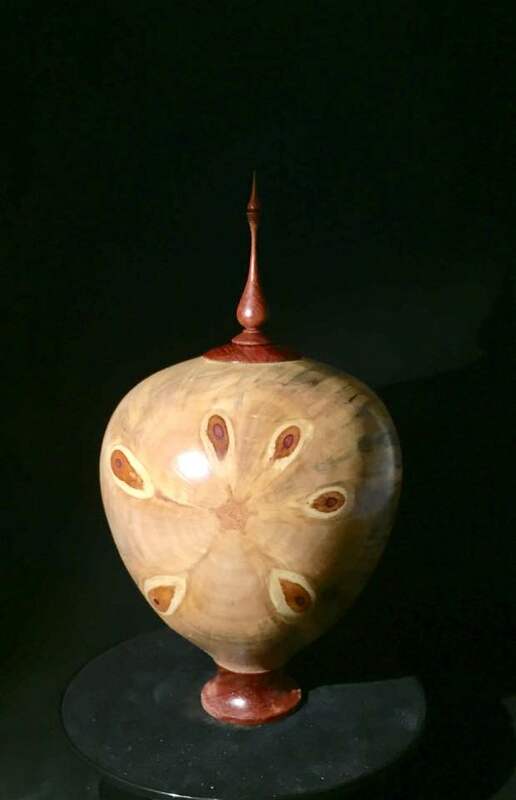 Don’t forget we are counting on everyone to step up and volunteer to help WWT stay a viable resource for woodturning by becoming a member of the executive committee (President, VP, Secretary, Treasurer or one of two At-Large Directors). Elections will be held at the December meeting. Experience is not necessarily required - we will train you to assume your new roles and will be around to assist you. We also need demonstrators for the new year. Part of the fellowship process is sharing your expertise with others. Don’t be afraid of sharing your knowledge by being a demonstrator - we don’t bite😉. Hey, if I can do it, anyone can. If you have any completed Bowls of Courage bring them to the meeting and we’ll take them to the folks at Hemby Children’s hospital. If you need wood to make a bowl or two, we have a stack of Poplar boards available. I hope you’re looking forward to this meeting as much as I am. * The address for all those using a GPS is 13428 Providence Rd., Matthews, NC.